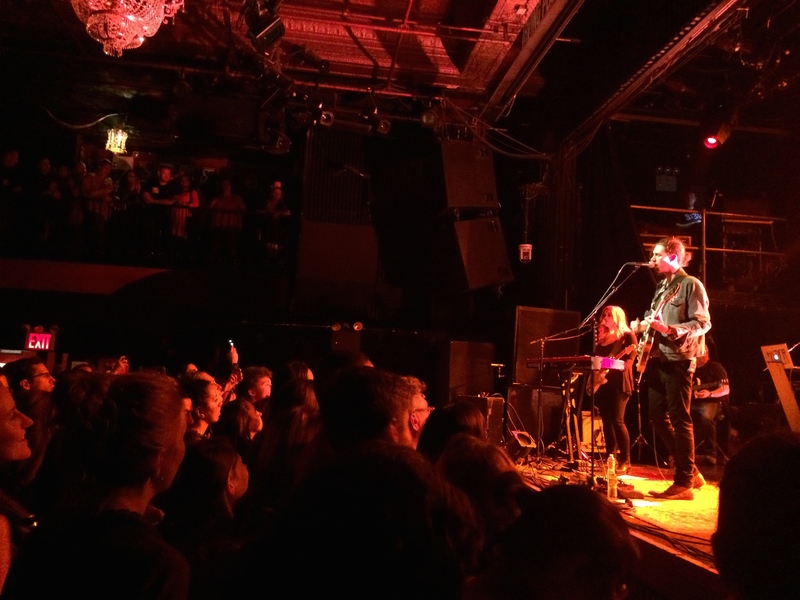 New York City’s Irving Plaza got a profound treat this week – twice! – as Irish folk artist Hozier and English singer-songwriter James Bay played two sold-out shows to wrap up their North American tour. Bay, who plays a brand of folky rock akin to Neil Young (and he looks a bit like him, too! ), opened the show both nights with an honest and endearing stripped-down set. He played half the time with multi-instrumentalist Gerry Morgan (who provided everything from back-up vocals, keyboards and drums), and he spent the other half of the set alone, with his guitar and the audience for company. James Bay has released two EPs to date – 2013’s In the Dark of Morning and 2014’s Let It Go – both through the prestigious Republic Records, and he has a third EP, Hold Back the River, due out at the end of this month. Bay’s performances of songs like “When We Were on Fire,” “Move Together” and “Let It Go” displayed not only a mastery of musicianship, but also a crucial skill made all the more visible by his bare-bones performance: mastery of performance. Bay spoke to the loud New York crowd like an old friend, and for those who listened, his words lent a special beauty to the evening. Following James Bay’s magnificent performance was Irishman Andrew Hozier-Byrne (aka Hozier), another folk singer-songwriter from the British Isles (ish) who is enjoying a considerable amount of acclaim at the moment. His debut album, Hozier, released in the US in early October, peaked at #2 on the Billboard Hot 200 (currently in its 4th week at 18), and has enjoyed the #1 slot on the Billboard charts for US Top Rock Albums, US Top Alternative Albums, US Folk Albums, and many more. The single “Take Me To Church” has been an indisputable worldwide hit, reaching #9 on the Billboard Hot 100 – a truly impressive feat for a folk artist in this day. 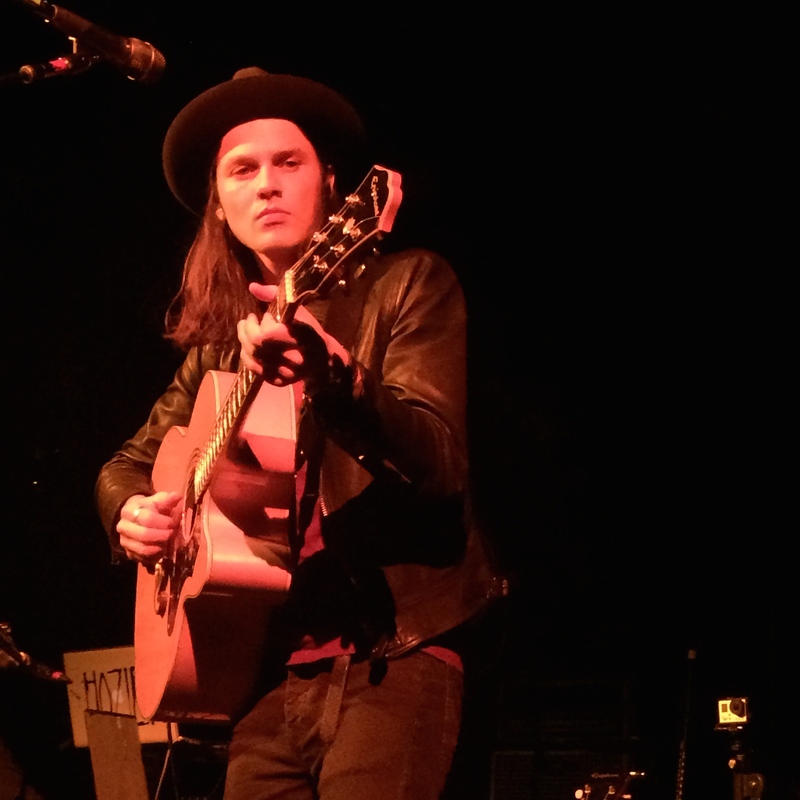 Intimate and extravagant, musically complex yet brilliantly simple, James Bay and Hozier’s two nights at Irving Plaza marked a beautiful end to a North American tour that has undoubtedly seen remarkable changes in both of their lives. Both artists have head off American soil now, but they left their imprint on the states in big ways – and we’ll be switching between Bay’s and Hozier’s albums until the two songwriters return for more.